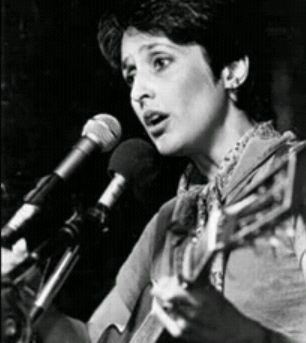 Joan Baez ~TXORIA TXORI ~ from Joan`s "Diamonds And Rust In The Bullring" Joan says: This record was made in a bullring in Bilbao, Spain, in 1988. It is dedicated to the Mayor and the people of Bibao, who came out to see me perform. The song is "Euskera". TXORIA TXORI is about a sweet little bird whose owner like it so much he cuts the wings in order to keep it around, and then realizes, of course, that it is not the same bird..... I want to thank Pasku who taught it to me, and that the Bilbao public for singing so beauitufully."